My kids always are excited and get a big smile on their face when an issue of our NATIONAL GEOGRAPHIC KiDS MAGAZINE subscription arrives in the mail. We just received our Summer Edition of this entertaining and educational publication for children 6 to 12 years old which includes a feature article about Jaguars along with being filled with eye-catching kids-oriented photography by National Geographic photographers, interesting trivia, plus fun games and puzzles. 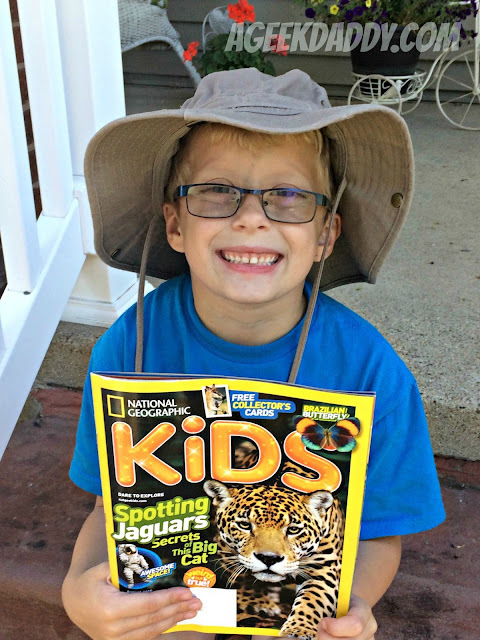 My son has had a fascination with jaguars ever since he was a toddler watching "Dora the Explorer" and took a liking to the "Baby Jaguar" character on the show. 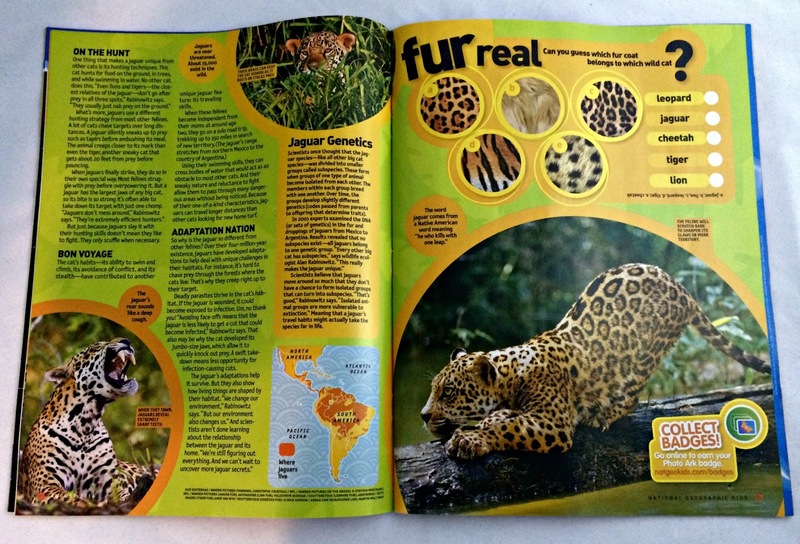 So he was thrilled by the magazine's in-depth article which highlight's how these animals' one-of-a-kind features make them stand out from other wild cats. This four page spread is filled with up-close photographs and informative facts. Did you know for being a "small" wild cat that jaguars can grow to be 6 feet long and weigh 300 pounds? One of these cats can grow to be bigger than I am! This section also has a fun game challenging readers to match a fur pattern to the wild cat it belongs to. Catering to a child audience, the issue is full of wacky and goofy facts, jokes, trivia and other things kids delight in. "Weird but true!" 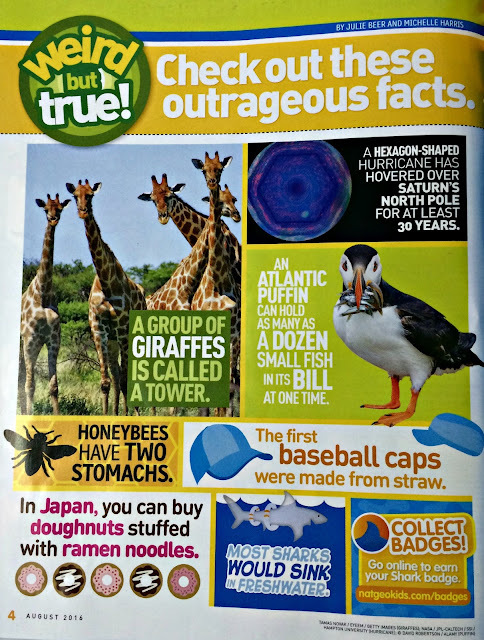 trivia, Guinness World Records, out-of-this world facts, and Extreme Weirdness Photographs are just a few segments that have kids learning while they enjoy flipping through the magazine. With the Summer Olympic Games coming up there is also a great tie-in article about the host country, "30 Cool Things About Brazil." There are also of fun games and puzzles to keep a child's attention including a "Backyard BBQ" word puzzle and a swimming themed Funny Fill-In. Also included are pull-out Animal Trivia Cards that provide True & False questions that kids can challenge their friends to answer and trade among themselves. 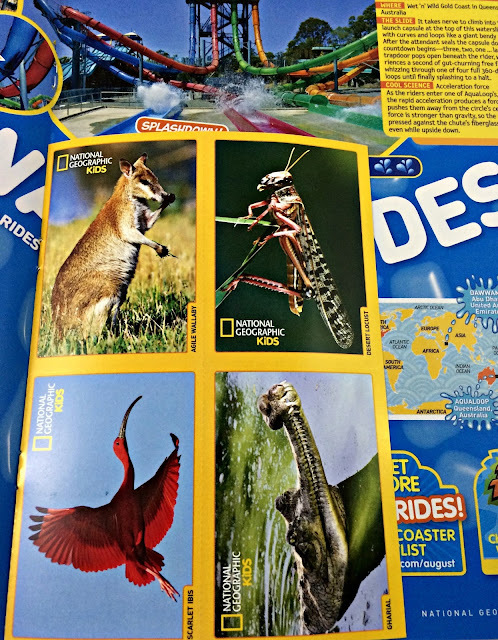 I've just highlighted a few key items included in the Summer Edition of National Geographic Kids Magazine but there is plenty more to check out included within it. Each issue is filled with content that will encourage readers to learn more about adventurous activities, geography, science, wildlife and the lifestyles of other children from around the world. An annual subscription is for 10 issues and costs $15 for a print version or $12 for a digital edition. CLICK HERE for more information about subscribing to National Geographic Kids Magazine. 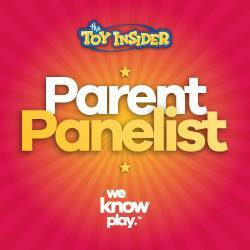 A Geek Daddy is a member of the National Geographic Kids Insider blogger program. 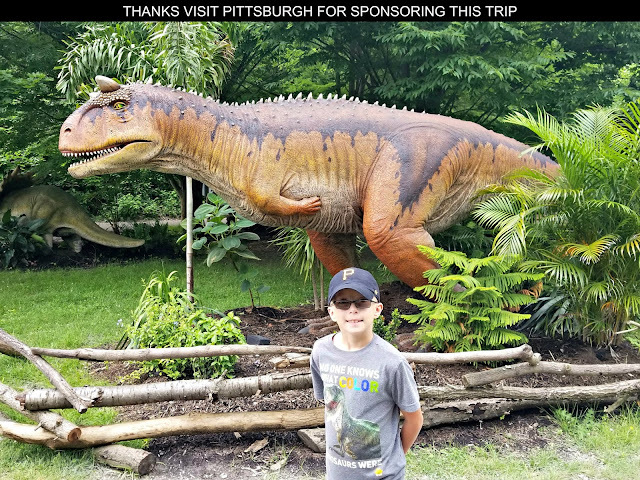 Insiders get a behind-the-scenes look at National Geographic’s resources, activities, content and projects for kids and families. They also review copies of books, magazines and toys, and are offered interviews with authors, explorers and editors. I do not receive any financial compensation for my participation as a National Geographic Kids Insider.